Do you need a Honda key battery replacement? While one of our team members would be happy to replace it, changing your key battery is also easy to do on your own! 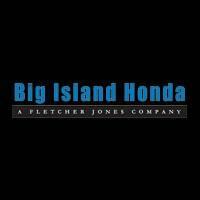 Learn how to change your Honda key battery with these quick and simple steps from Big Island Honda in Hilo & Kona. What Does a Honda Key Battery Look Like? It is recommended that you purchase a genuine Honda key battery. However, if you can’t buy a genuine part, you can ask one of our team members about the required battery voltage and size. Most key fobs require a 3-volt battery. These batteries are circular, flat, and silver. First, find the button that releases the key inside of the fob. Slide this button, and move the key out of the fob. Then, insert the key in the slot at the key fob’s top. Twist the key, and press away from the key until the back of the fob comes off. Make sure to hold the key fob together by pressing down on the area where the battery is located with your thumb, so the entire key does not fall apart. Use your other hand to take out the old Honda key fob battery. Replace it with a new battery, making sure that the new battery is facing the correct way. Having trouble changing your key battery? Contact us with any questions about your Honda battery replacement. Furthermore, our staff knows how important your vehicle is to you and your family, so we make a point to always provide our customers in Waikoloa, Kapaau, and beyond with helpful Honda tips. Whether you are interested in learning which Honda vehicles can fit a surfboard inside of them or about the importance of regular brake inspections, our team is here to inform you! Are You Being Asked for Your Honda Radio Code? Which Honda Should You Drive?